For an amazing candy buffet, mixing glass jars with other type of containers made of different material will create a visually unique, and absolutely outstanding display. Think out of the box by seeking unusual and original containers to complement the theme and style of your reception venue. 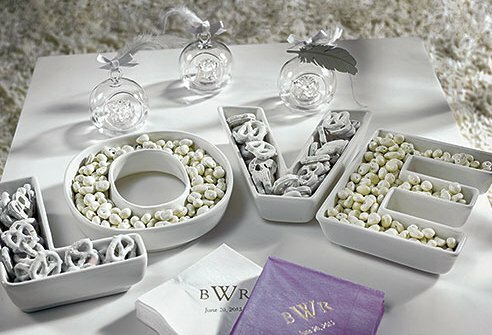 Made of white glazed ceramic, these attractive plates filled with candies on your sweet table are sure to be admired by your guests. An ideal decor element for casual summery weddings, this adorable Picnic Basket can be filled with snacks for the buffet. 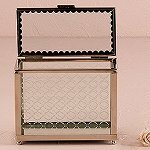 This lovely mirror base box made of glass and alloy metal wire is an elegant way to display old-fashioned sticks or lollipops. 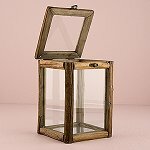 This glass box has rustic appeal perfect for any outdoor shindig or indoor soirée with a homespun vibe. 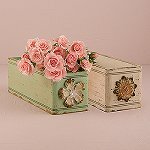 Use as a unique container and fill it with goodies on candy buffet. 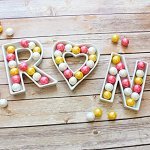 Charming and romantic, add instant vintage flair to your candy buffet by filling it with goodie bags and more. Feature this drawer display shelf on your sweet table, and just imagine what you could place inside. 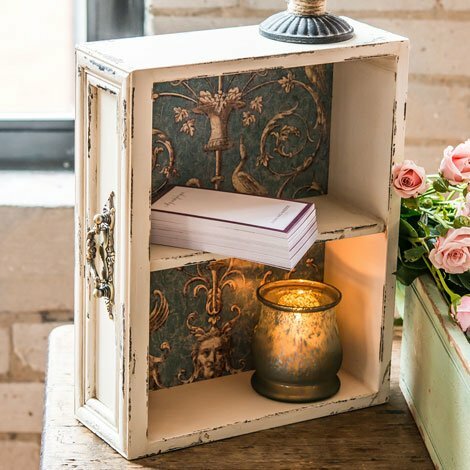 This shabby chic-style case features a delicate baroque design and distressed blue and ivory finish. 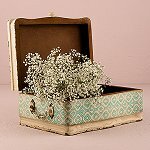 Keep it closed as a stunning statement piece to accessorize your reception space or open it for an incredibly unique container to serve favours or sweets. 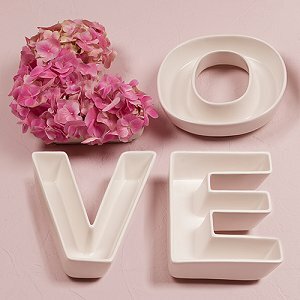 Made of white glazed ceramic; select from letters, numbers, and symbols to form words or names. Fill these distinctive plates with candies to make a memorable statement. A wicker basket is the perfect final touch for your woodland, rustic, or vintage themed wedding. 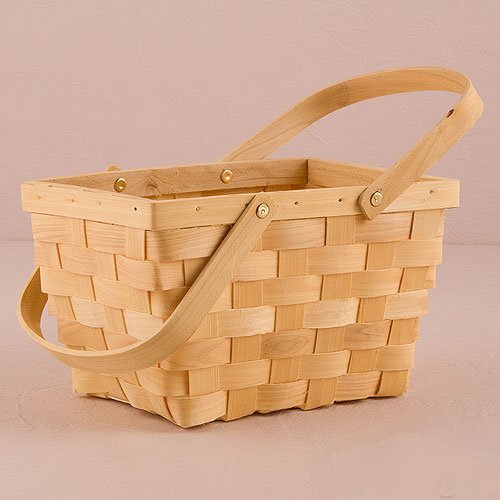 Made of wicker and plastic, this basket has a pretty birch wood appearance that can be filled with favour bags. 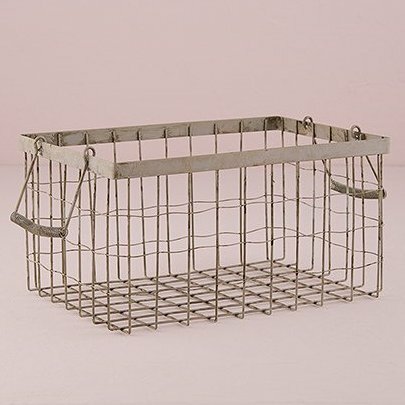 This versatile vintage wire basket is a great addition to your rustic, industrial chic, or outdoor wedding. Use as a fashionable decor piece on your candy table. 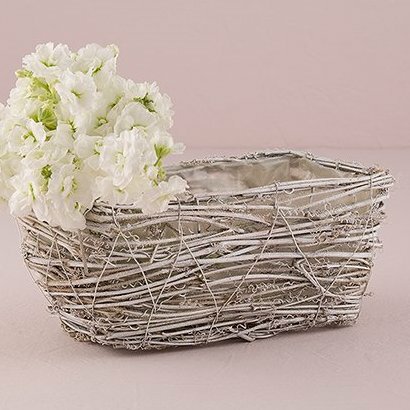 However you incorporate this wire basket, you're sure to grab guests' attention with its vintage appeal. 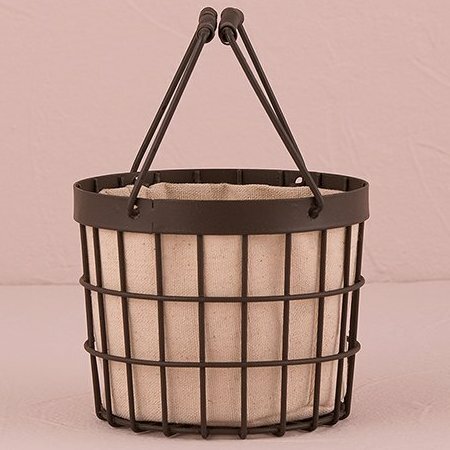 A rustic wire basket made of alloyed metal and lined with a canvas is a pretty alternative as a table centerpiece filled with sweets or favour bags for the guests to enjoy.